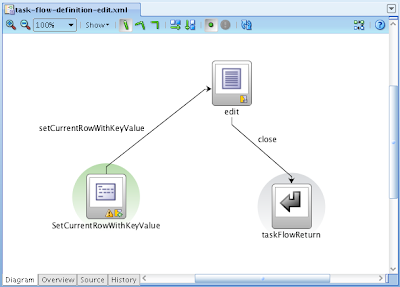 I will describe following scenario - two ADF Task Flows, second ADF Task Flow is opened as Isolated. 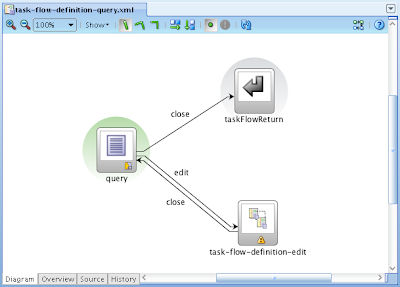 First ADF Task Flow provides query functionality implemented as View Criteria, and second ADF Task Flow accepts current row key value and allows to edit data. Scenario is pretty simple, and can be implemented in Oracle ADF very fast. 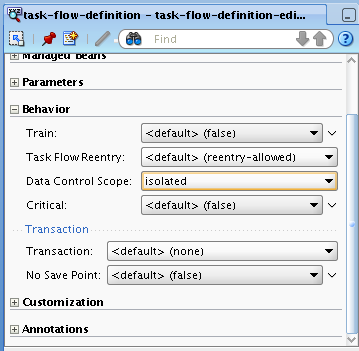 However, there is one trick if you open second ADF Task Flow as Isolated. I will describe it and provide solution. In some systems, its usual requirement to open CRUD style ADF Task Flow in Isolated mode, in order to get a new DataControlFrame for CRUD operations. Thanks for explaining the "trackQueryPerformed" feature. 1. In the fist page (search page), I enter a search criteria in such a way that only one record is queried. 2. Select that record to edit, make the modifications (in the next page) and save the record. Now, when returning to the first page, the results table shows all the records in the DB and not the only record queried earlier. Am I correct? Yes, you are correct. By default, it will return all records. However, you can set search parameter programatically, it will filter then. in above scenario "results table shows all the records" can you provide some direction/ sample code on how one would re-query the search results table when VO criteria "Automatically Execute" checkbox is unchecked. Basically equivalent of "Search" button during page load. I have one Taskflow which has two pages. 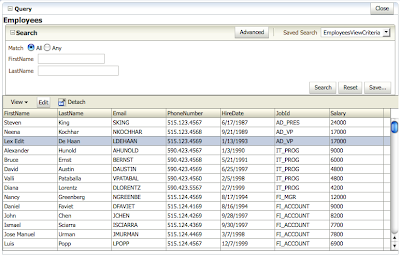 In first jsff page one column of the query table is a link to second jsff page. On return from the second page I need to show the fresh data in the table present on first page and the query should be maintained. I am using a VO based on sql query. 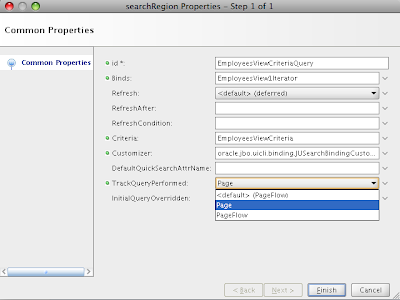 Using TrackQueryPerformed on return from the other page no data is visible in the table. 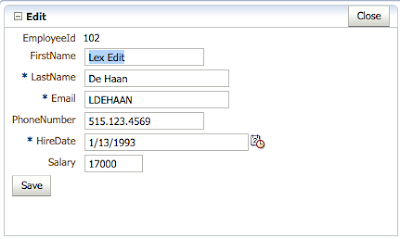 Also in the View Criteria the Query Automatically option is disabled.